Cardiac Intervention Specialists PA (Houston) - Book Appointment Online! 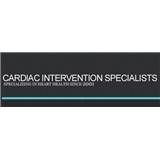 Cardiac Intervention Specialists (C.I.S.) is in practice since 2001 and we perform various cardiac procedures in our clinic including comprehensive cardiac care, treadmill and nuclear stress testing, echocardiograms, vascular dopplers, and Holter and event monitoring. Services offered at the hospitals include cardiac catheterization, angioplasty and stenting, pacemaker implants, peripheral interventions, IVC filters, and various other procedures to ensure your cardiac health. Dr. Iftikhar has active privileges at Houston Methodist West, Christus St. Catherine Hospital, and Memorial Hermann Katy. Cardiac Intervention Specialists is contracted with all major insurances carriers. Dr. Iftikhar and his staff have always been very friendly and professional. I have had to retrieve information from the office and they always were very quick to address my requests.